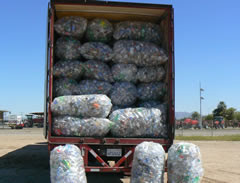 Thousands of pounds of empty beverage containers were intercepted while being smuggled into California. 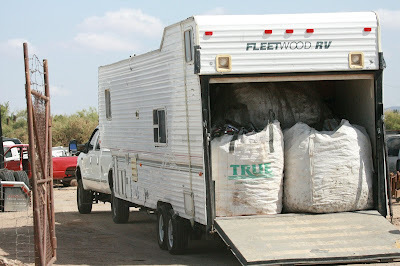 The state confiscated 56,000 pounds of material worth an estimated $82,853 in potential California Redemption Value. Eight people were arrested. California residents pay deposits of 5 cents to 10 cents on certain beverage containers that can be redeemed at certified recycling centers. Out-of-state containers are not eligible. 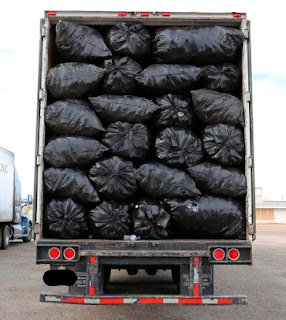 The most recent seizure occurred Aug. 15 when a Yuma, Arizona resident, who owns a recycling center, was arrested while bringing 907 pounds of aluminum empty beverage containers into California. That operation alone is suspected of having smuggled 468,000 pounds of aluminum over three years. Those busted are charged with felony recycling fraud, conspiracy, and attempted grand theft. Those crimes can carry sentences ranging from six months to three years behind bars.